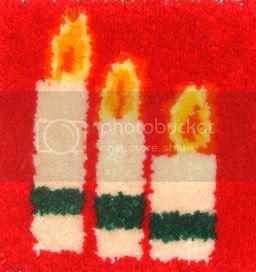 In this section we are delighted to be able to showcase some pictures of completed projects, kindly sent to us by customers! 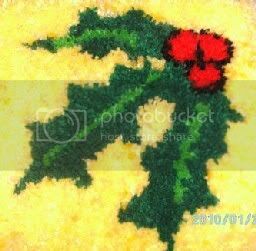 It will give you an insight, that with some imagination, any design is possible! 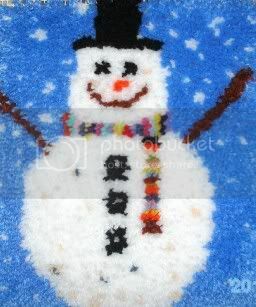 Please browse through the latch hook creations and designs, and you are sure to be inspired to create your very own unique latch hook rug. 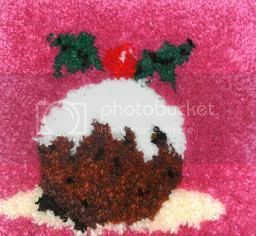 This beautiful latch hook design of a scrumptious Christmas Pudding, was created completely from scratch by Compton Hospice in Wolverhampton, who have also contributed the next three designs.